New Delhi : Reliance Jio’s promotional plan that offered free voice calls until this year’s end has got Telecom Regulatory Authority of India (TRAI) investigate the matter. Brought by India's largest telcos Bharti Airtel, Vodafone India and Idea Cellular, the complaint to TRAI want clarification on the matter from the regulator. "Operators have come and met us and in continuation with the letter they have submitted earlier, raised the interconnection usage charges (IUC), predatory and non-discriminatory pricing and other issues," Trai chairman RS Sharma told, adding that the authority would study the complaints. "A common letter has been submitted and the TTO (Telecommunication Tariff Order) was discussed today . Trai chairman said that he will examine the Jio tariff and look into the matter soon and get back to us," Vodafone India chief executive Sunil Sood told. A 2004 regulation of TRAI mandates that tariffs by service providers should be non-predatory, non-discriminatory and compliant with IUC, a fee payable to an operator for receiving calls from other networks. The fee is 14 paise per minute. Bharti Airtel Chairman Sunil Bharti Mittal had explained the issue in an interview, saying that if a voice service is provided for free, it would be less than the IUC of 14 paise a minute and fall foul of the TTO. "When you go below that cost, that is a very straightforward situation of predatory pricing. We will be looking at Trai to rule on this particular aspect as per their own tariff order," Mittal had said. On the other hand, Trai have reviewed operator-wise data from September 15-19. 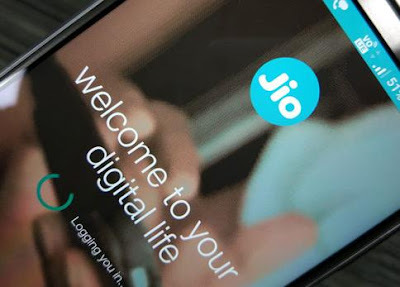 It has slapped show cause notices to telcos, saying they were prima facie found to be violating licence conditions related to interconnection and quality of service norms.